MyWiFi Networks | Platform Support - Which connection methods does MyWiFi support? All Categories ​>​ FAQs ​>​ General ​>​ Which connection methods does MyWiFi support? 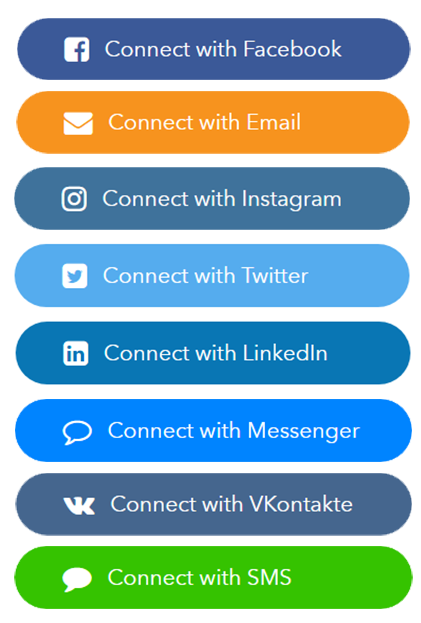 MyWiFi offers the ability to your customers to log in with Facebook, Twitter, LinkedIn, Instagram, VKontakte, Email, SMS, and Credit Card.